Re-wicking your rebuildable atomizers has never been easier thanks to COTN Threads pre built cotton. COTN Threads are made of the finest organic cotton that is never bleached, is certified organic, and has no chemical taste, making it the ideal cotton for any sub ohm vape juice. The best of feature of COTN Threads are the aglets on either side of the threads, which make it easy to wick any coil up to 3mm. 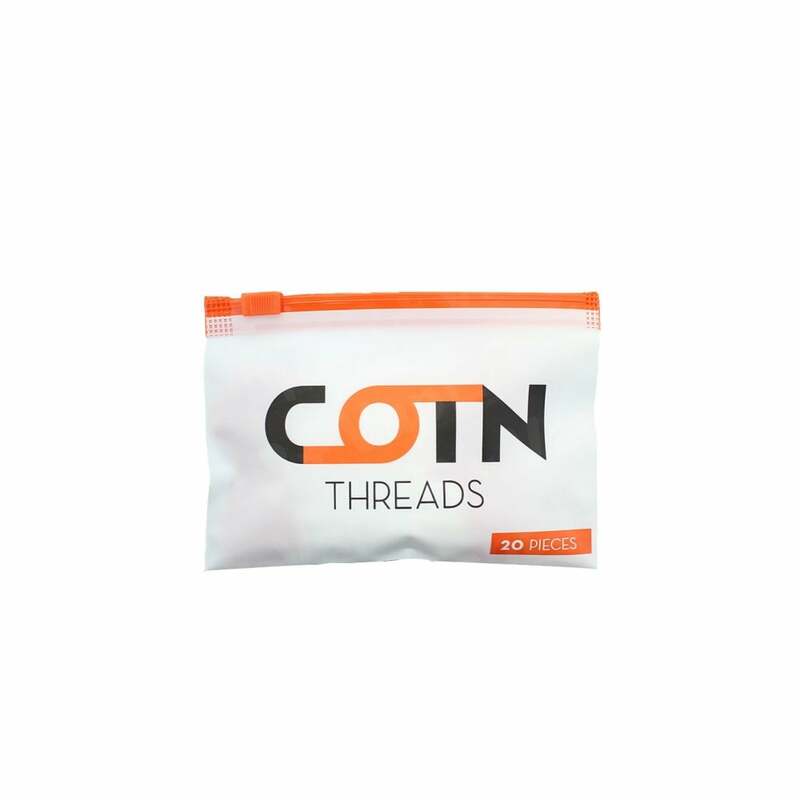 As an added bonus, COTN Threads pre built cotton comes in a resealable travel bag to preserve fluffiness and durability.